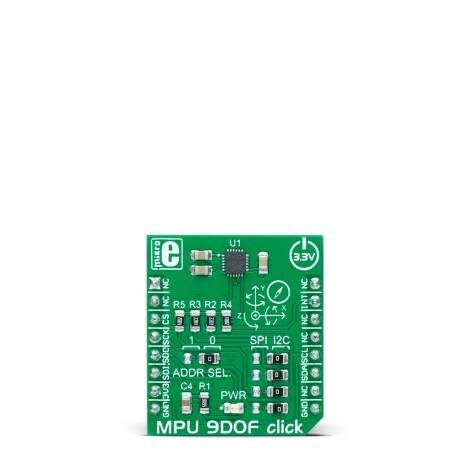 MPU 9DOF click carries the MPU–9250 System in Package, which is the world’s first 9-axis Motion Tracking device. 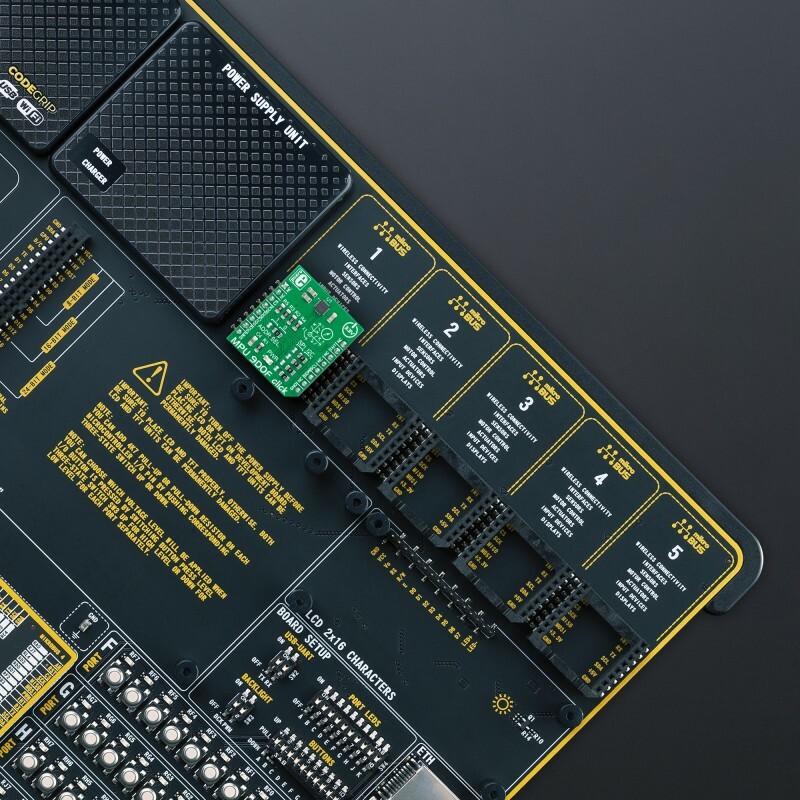 MPU–9250 comprises two chips. 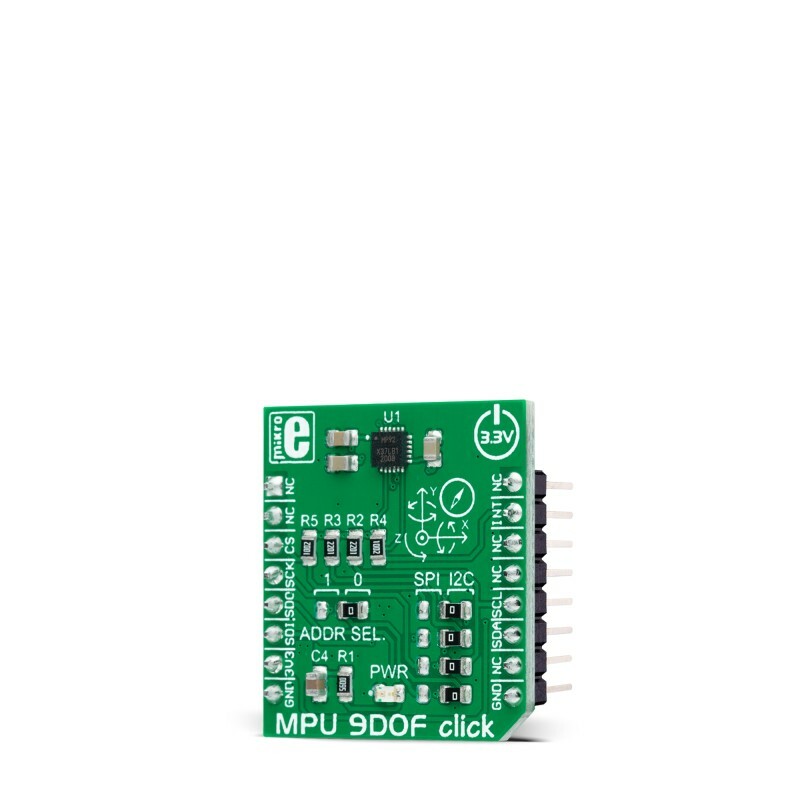 MPU 9DOF click carries the MPU–9250 System in Package, which is the world’s first 9-axis Motion Tracking device. MPU–9250 comprises two chips. One is the MPU–6050 that contains a 3-axis accelerometer, a 3-axis gyroscope, and a DMP (digital motion processor); the other is AK8975, a 3-axis digital compass. It is designed for the low power, low cost, and high-performance requirements of consumer electronics equipment and wearable sensors. 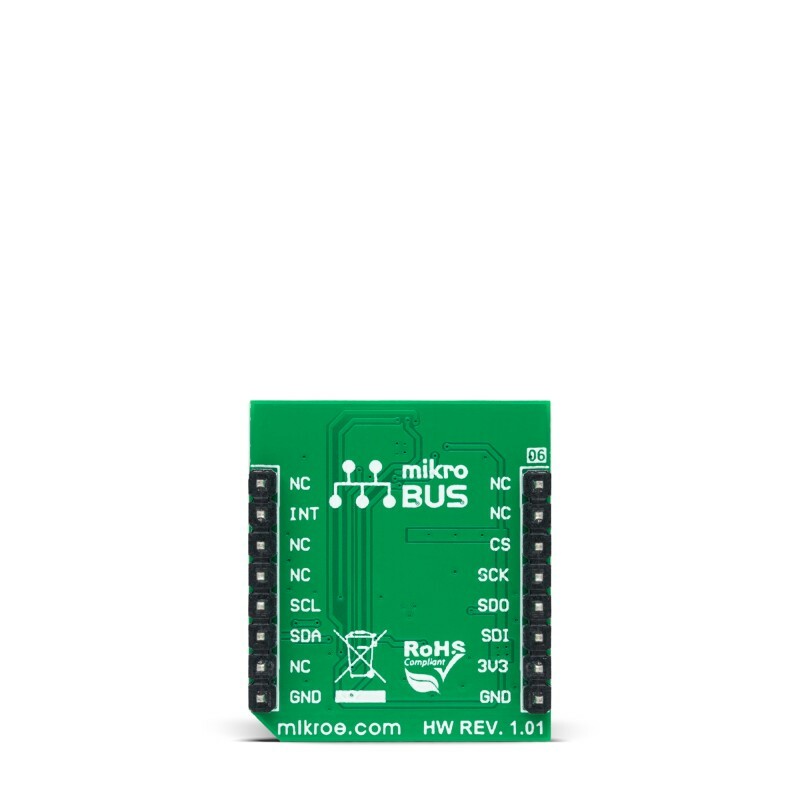 The ability to track motion in free space also makes MPU 9DOF click a suitable sensor for RC vehicles (e.g. quadcopters) and camera stabilization systems.